These grants and bursaries support the competitive needs of amateur athletes in British Columbia. Canadian Sport Institute recognizes the need for financial aid to support the competitive needs of amateur athletes in British Columbia. The intent of the Canadian Sport Institute Athlete Travel Grant is to provide provincially and nationally targeted athletes with travel assistance towards their participation in national and international competitions. *Note: The Canadian Sport Institute Travel Grant is not open to PacificSport registered athletes. Applicants must be registered with one of the three Canadian Sport Institute campuses only (Vancouver, Victoria, or Whistler). Applications must be submitted prior to the deadline, late applications will not be accepted. Canadian Sport Institute will receive and administer all applications for the Athlete Travel Grant. Complete applications will be provided to the selection committee who will determine the recipients based on the allocation of funds available and calibre of applications. For more information on the Canadian Sport Institute Athlete Travel Grant, please contact your regional Athlete Coach Services representative. In lieu of live attendance, applicants may request and view two Speaker Series On-Demand presentations, then submit results for relevant follow-up quizzes with a score of 100%. See Speaker Series On-Demand page for more details. A letter from the athlete’s primary coach confirming the travel along with a recommendation for the grant is required. Athlete cannot be awarded consecutive CSI Pacific Athlete Travel grants – i.e. athlete can only win one CSI Pacific Athlete Travel Grant per 365 day period. *Note: Based on the number of applications received, priority may be given to athletes identified at the Canadian Development level. Canadian Sport Institute recognizes the need for financial aid to support the competitive needs of amateur athletes in British Columbia. The Rising Star Grant is made possible on the strength of an endowment fund created in the name of the 14,000 volunteers who helped stage the successful Commonwealth Games in 1994. Athlete must be identified by their respective Provincial or National Sport Organization according to Canadian Sport Institute’s athlete eligibility criteria. Preference of selection will be given to Canadian Development over Provincial Development athletes. Athlete cannot be awarded consecutive Rising Star Grants – i.e. athlete can only win one Rising Star Grant per 365 day period. Athlete must be able to demonstrate a high standard of achievement in other areas such as education, culture, community service, sport volunteer work, etc. Athlete must submit a letter of support from their coach and a volunteer letter of reference alongside their application. Athlete must submit a quality, completed application form before the deadline. A cover letter outlining intent to apply (max. 1 page). A written letter of support from primary coach (max. 1 page). A letter of reference from an organization the athlete has volunteered for. Canadian Sport Institute will receive and administer all applications for the Rising Star Grant. Completed applications will be provided to the selection committee who will determine the recipients based on the allocation of funds available and calibre of applications. 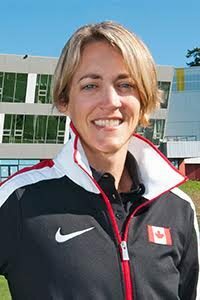 For more information on the Canadian Sport Institute Rising Star Grant, please contact Kendra Stoner. This award is intended to support high performance water polo athletes training in British Columbia and help remove financial barriers in their athletic development. Ethan was an avid water polo player and referee, and his vast network of family and friends look to give back to the sport he loved. *Note: The Ethan Carmichael Denum Water Polo Award is open only to Water Polo athletes registered with either Canadian Sport Institute, PacificSport, or Engage Sport North and training anywhere in BC. Athlete must be a BC resident registered with Canadian Sport Institute, PacificSport, or Engage Sport North as a targeted high performance Water Polo athlete. Athlete must be identified by BC Water Polo or Water Polo Canada according to Canadian Sport Institute’s athlete eligibility criteria, and remain in good standing with the provincial sport organization (BC Water Polo). Athlete must demonstrate sportsmanship, community service, and volunteer work. Canadian Sport Institute will receive and administer all applications for the Ethan Carmichael Denum Water Polo Award. Completed applications will be provided to the selection committee who will determine the recipients based on the allocation of funds available and calibre of applications. For more information on the Canadian Sport Institute Pacific Ethan Carmichael Denum Water Polo Award, please contact Kendra Stoner. Applications will only be open for Fall 2019, as there is no spring allocation of the Ethan Carmichael Denum Water Polo Award. Please check back later in 2019 for more info. CAN Fund is a financial assistance program available to active national team athletes training to represent Canada internationally. It provides direct funding to athletes creating the opportunity to focus on success instead of on unnecessary financial hurdles such as training, coaching, and nutrition fees. Learn more about CAN Fund. AthletesCAN, in partnership with the Investors Group, award twenty Canadian amateur athletes with the Team Investors Group Amateur Athletes Fund each year. The $5,000 bursary is available to senior national team athletes based on selection criteria including athletic achievement, financial need, and community involvement. Learn more about the Team Investors Group Amateur Athletes Fund.